Apple has been working with a selection of health and activity apps plus some hardware to integrate them into Siri Shortcuts so users can control them with their voice. The most exciting Siri Shortcuts feature is that it’s working with third-party health hardware to check users blood pressure and glucose levels. This means that user with a QardioArm smart blood pressure monitor can say something along the lines of, “Hey Siri, what’s mom’s blood pressure?” and the shortcut will initiate the blood pressure tester and display the results on the user’s iOS device. To check glucose levels, you need a Dexcom Continuous Glucose Monitoring System. Other than that, Apple’s partnered with a host of apps to add shortcuts for starting a workout. Basketball workout app HomeCourt, Ski and snowboarding app Snoww and the Nike Run Club are all getting Shortcuts. 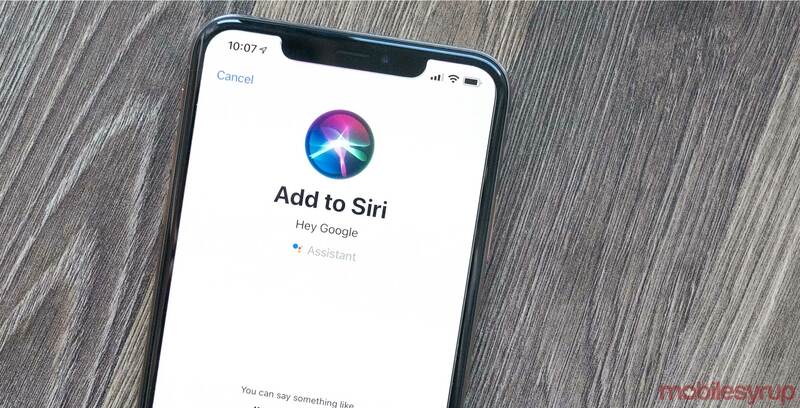 Users can say things like, “Hey Siri, let’s ski” and the shortcut provides the user with their speed, elevation drops and distance travelled, according to Apple’s press release. Streaks, WaterMinder and Yazio are three other habit-building apps that Apple is adding to Siri Shortcuts. Users can ask Siri to log an activity, like hiking, walking or whatever else you want via voice controls. This should make adding habits to these apps much more efficient. These are some handy Shortcuts, and users can add more in two ways. One, head into your Settings app and go into ‘Siri & Search’ settings. From there, you can add ‘Suggested Shortcuts’ from Apple. If you want to dive deeper into using Shortcuts, you can download Apple’s Shortcuts app and check out the MobileSyrup guides here and here.